Bathroom shelves can provide much needed storage and offer added convenience. They can also pull a room together and help accentuate your sense of style. DécorPlanet is pleased to offer these tips that can help make your bathroom shelving stylish as well as functional. First and foremost, keep it simple. Too much clutter – decorative or otherwise – will produce a very unappealing look. 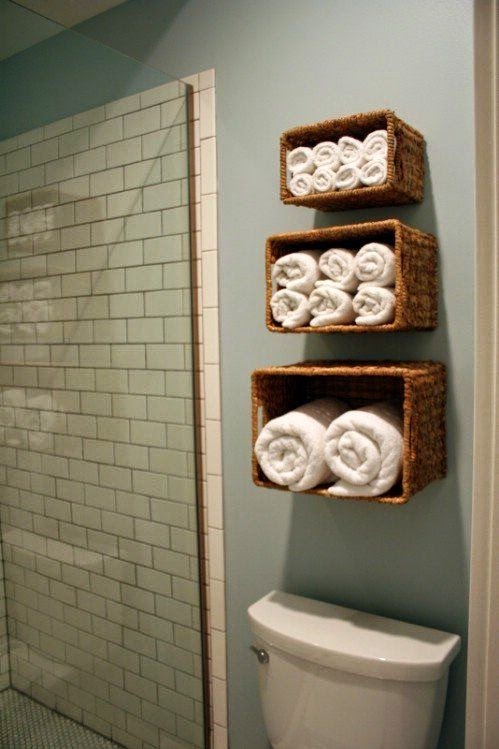 If you have more stuff than space to hold it, use baskets to create a tidy appearance. Baskets produce a clean, uncluttered aesthetic while still providing substantial storage space. Clutter can also come by way of too much color. To ensure the most pleasing appearance, pick a color palate and stick with it. Choose colors in the same family for both shelving and the walls shelves are placed on. And if you are adding decorations, be sure they work with the color theme. 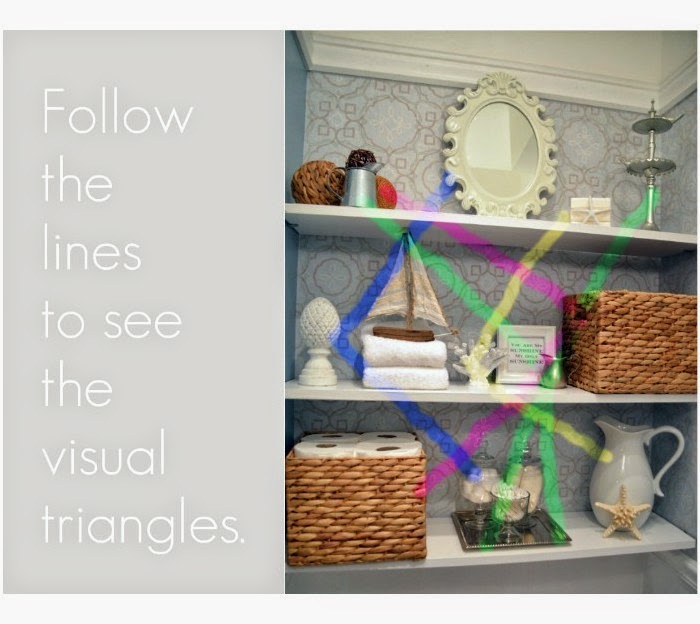 When adding decorations to shelves, think visual triangles. This decorating method provides balance between shelves by following a triangular pattern. For example, if you have a blue vase on the top shelf, something similarly colored and textured will ideally complement it when placed at an angle on the shelf below. Visual triangles are a quick and easy design strategy that can be used to create optimal balance while helping maintain function. Creating visual triangles doesn’t mean choosing objects that are all the same size or shape. In fact, design is often best enhanced by combining items of different heights, textures, and colors. Remember to stick within a specific color theme and balance items with visual triangulation, but within those confines you can stack, lean, layer, and group articles to produce a look that is both visually appealing and completely your own. Above all be patient. Choosing the exact combination of design and function to enhance your space my take some thought and effort – but the end results are well worth it.